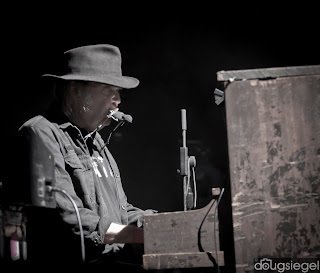 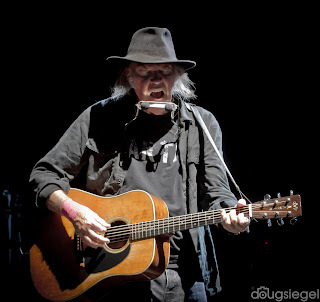 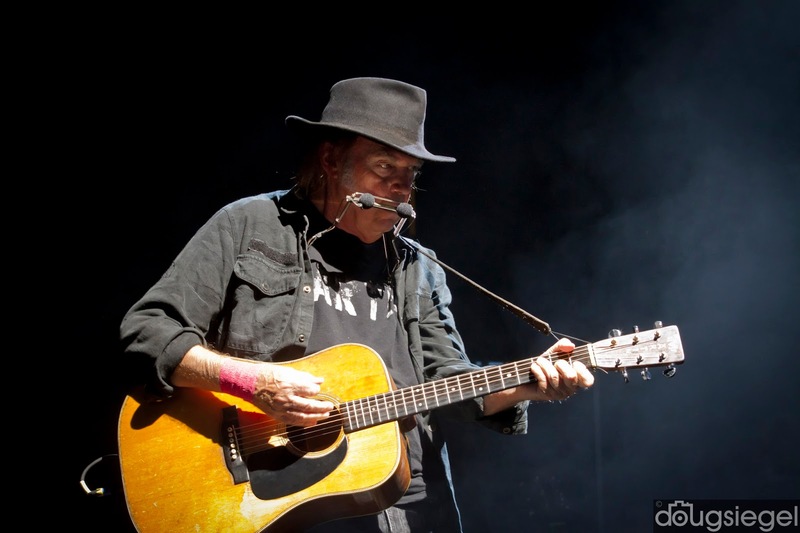 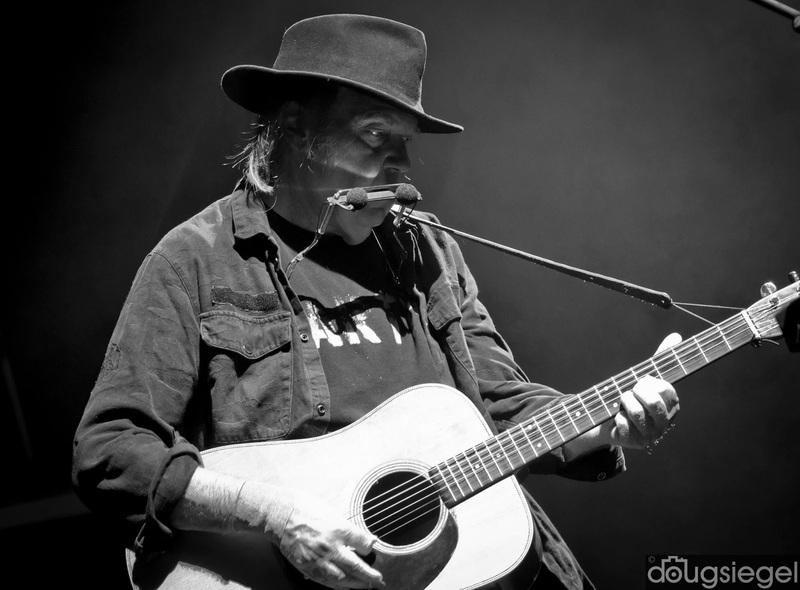 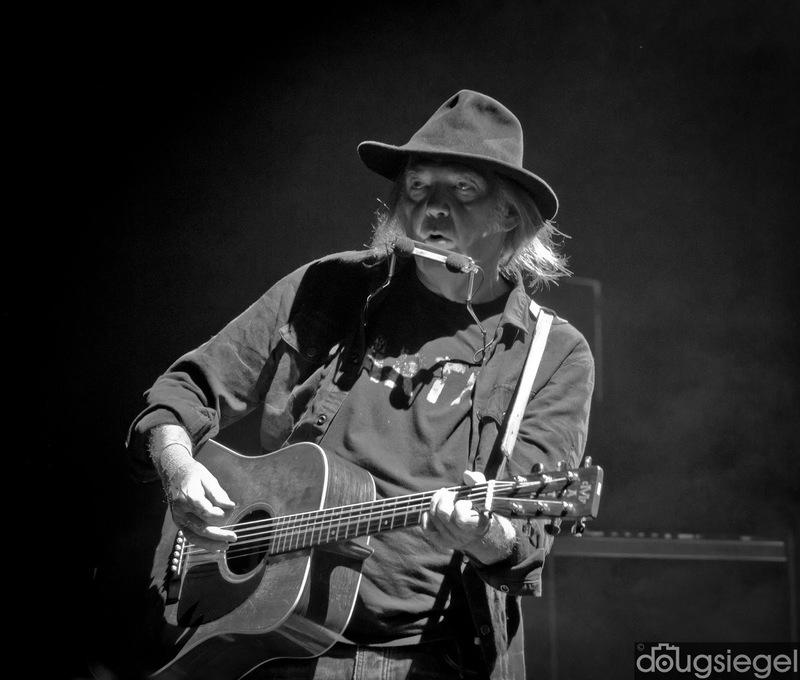 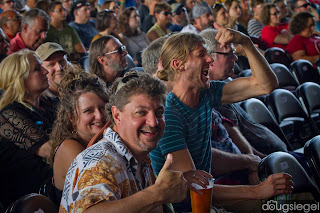 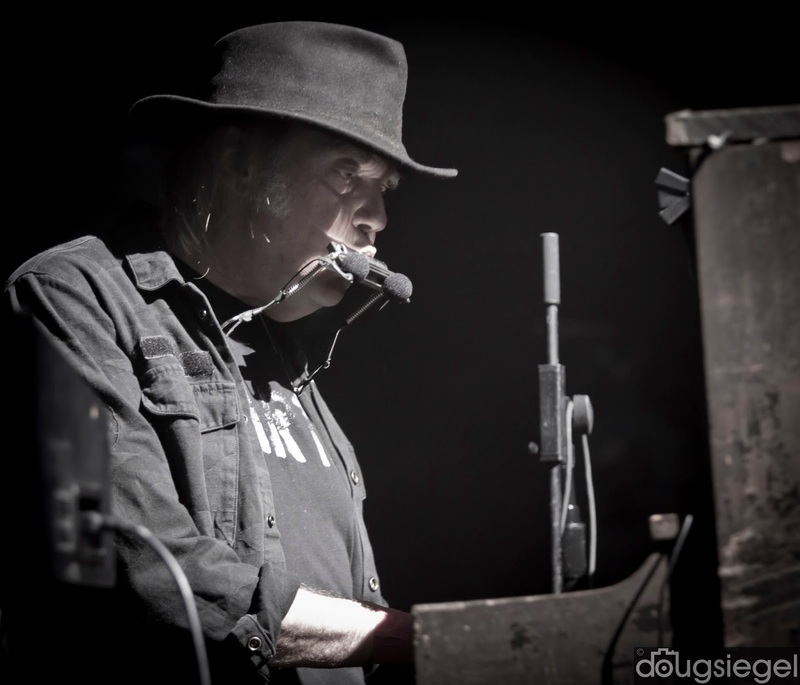 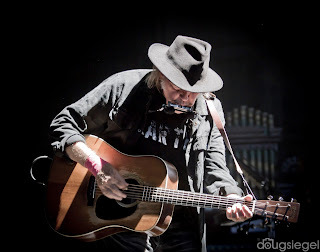 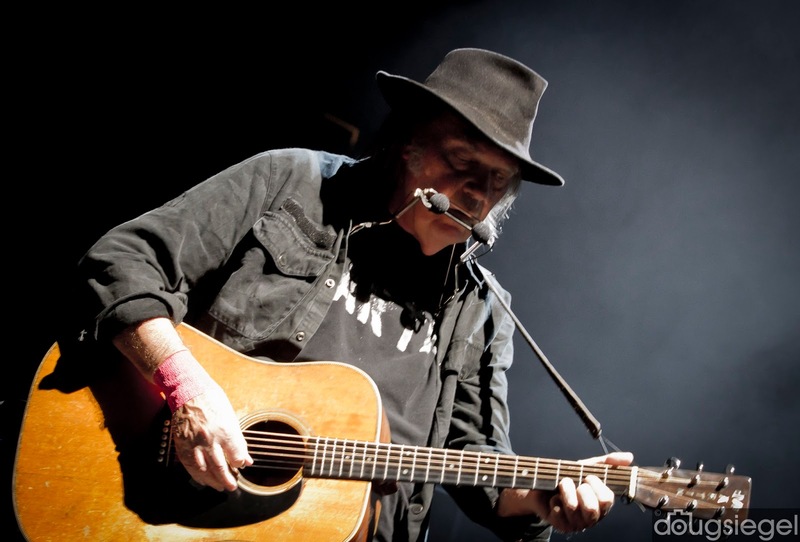 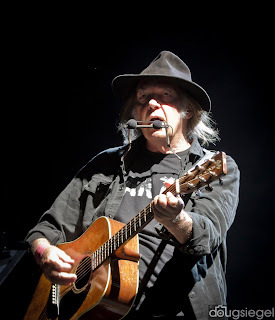 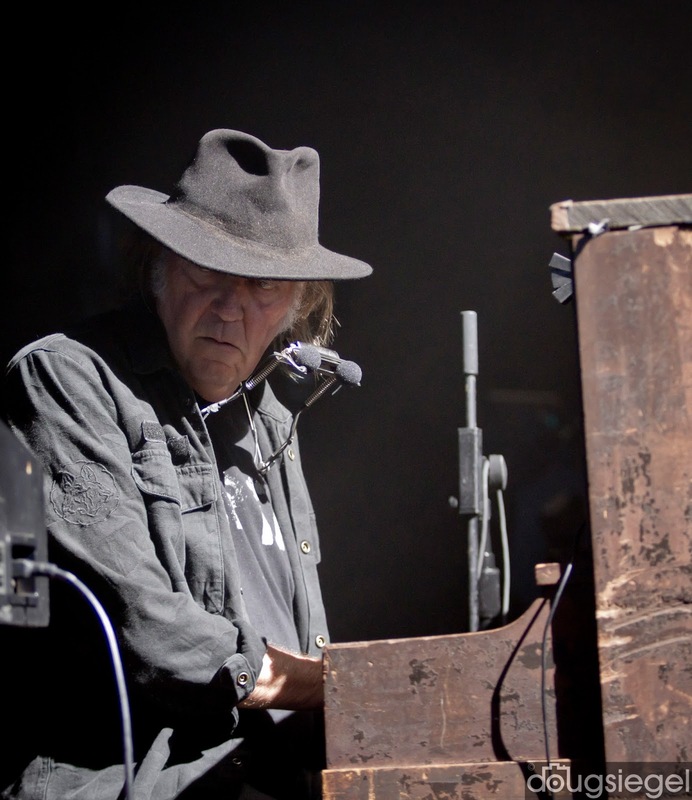 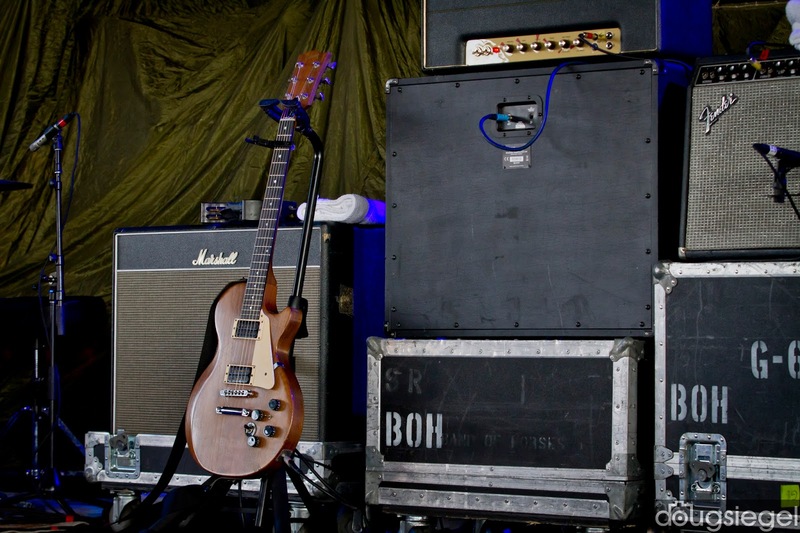 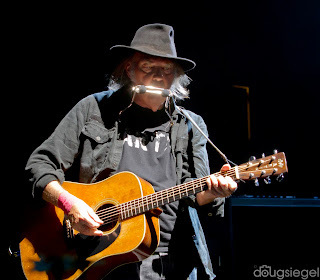 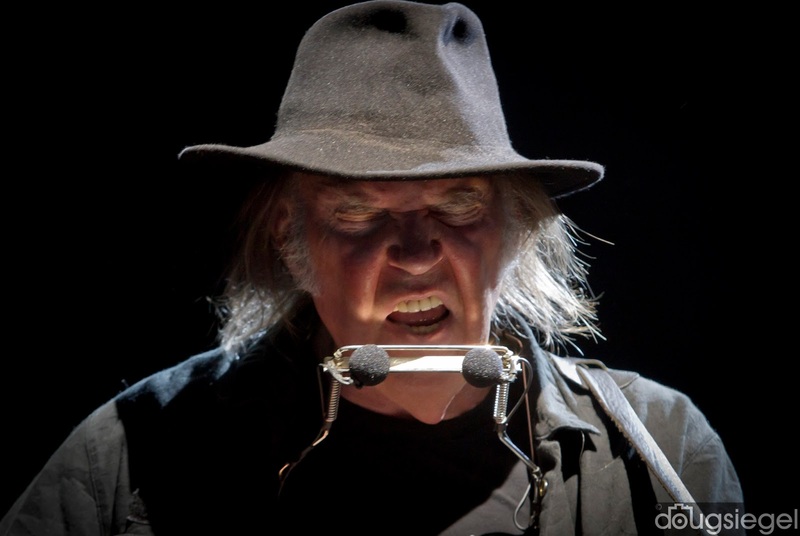 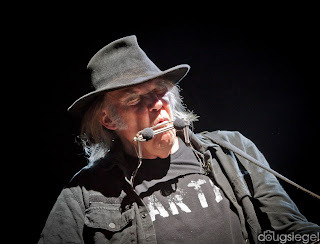 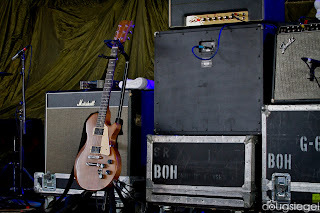 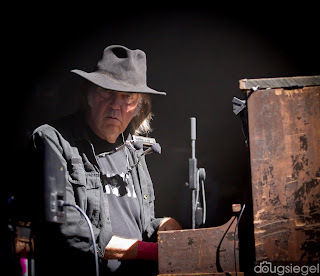 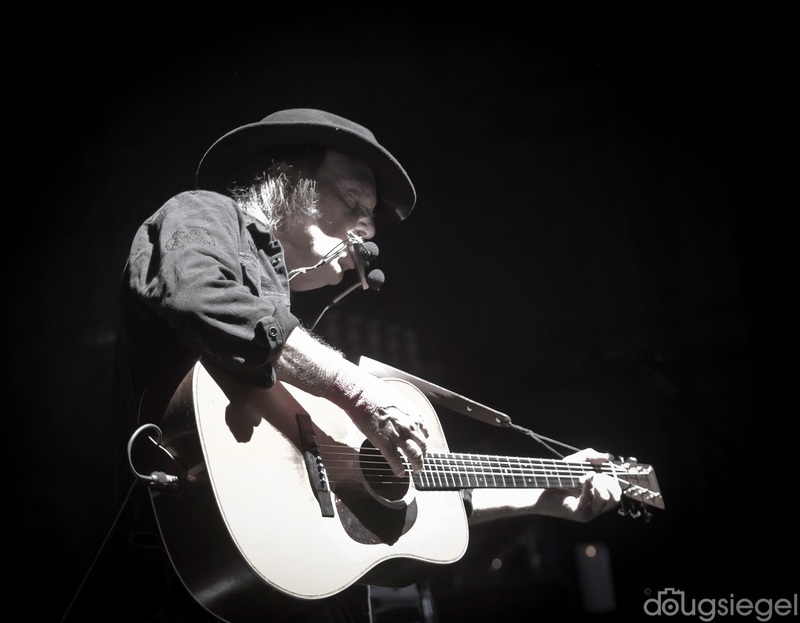 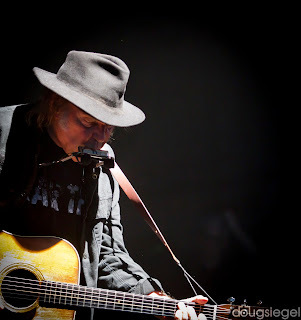 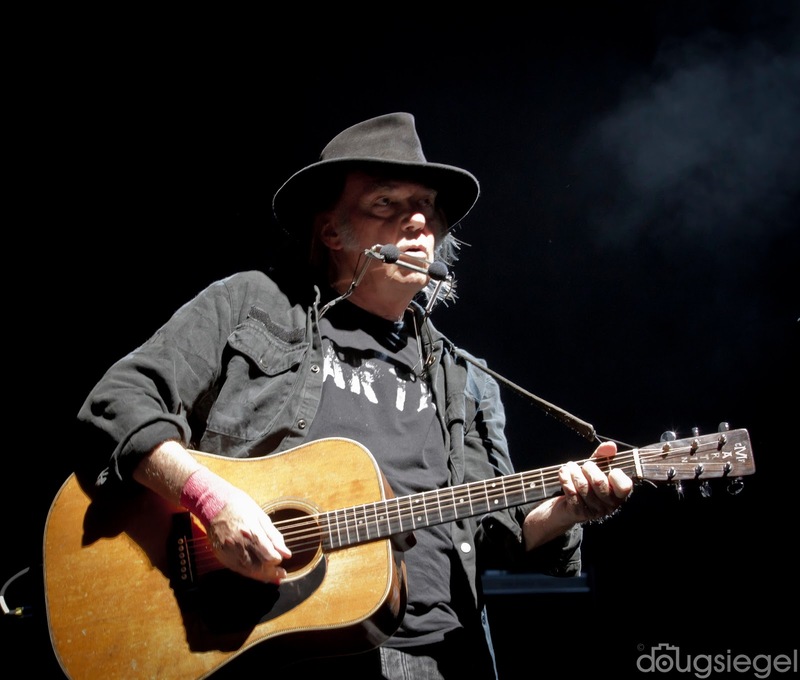 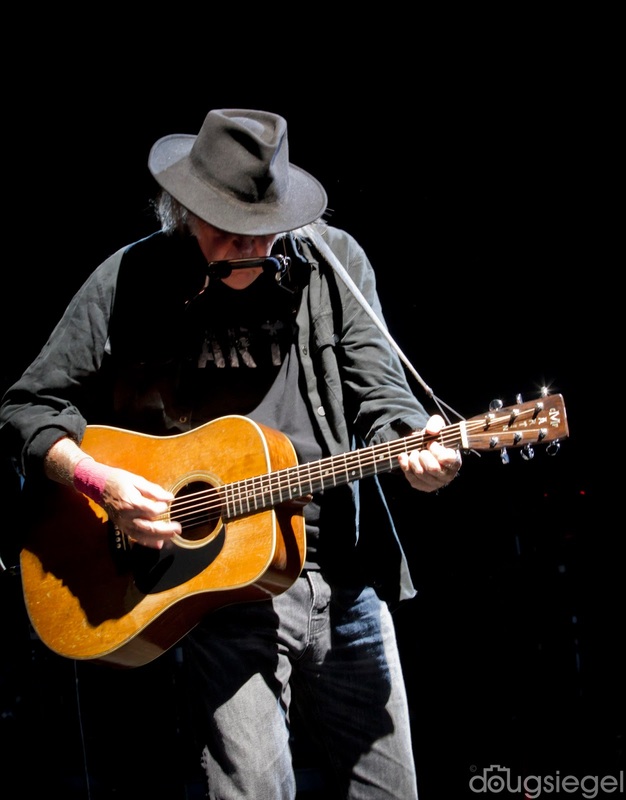 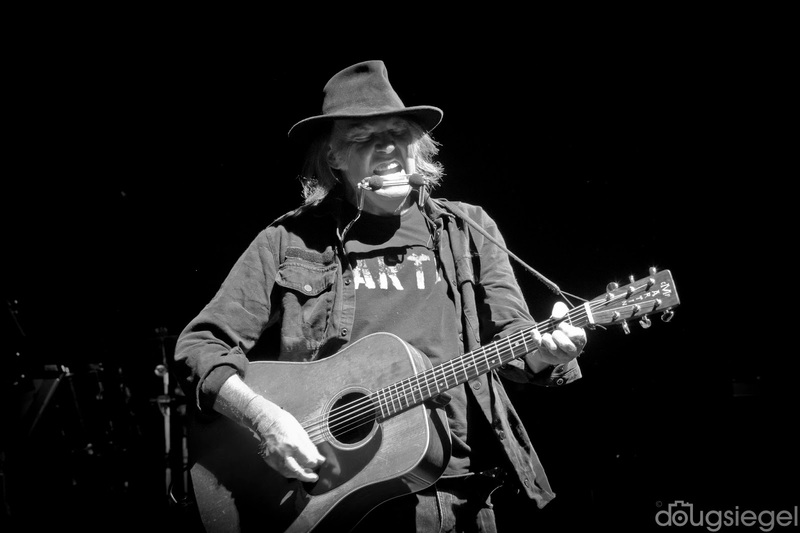 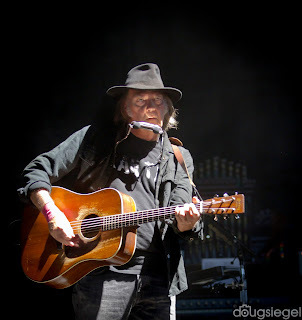 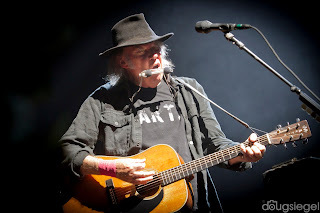 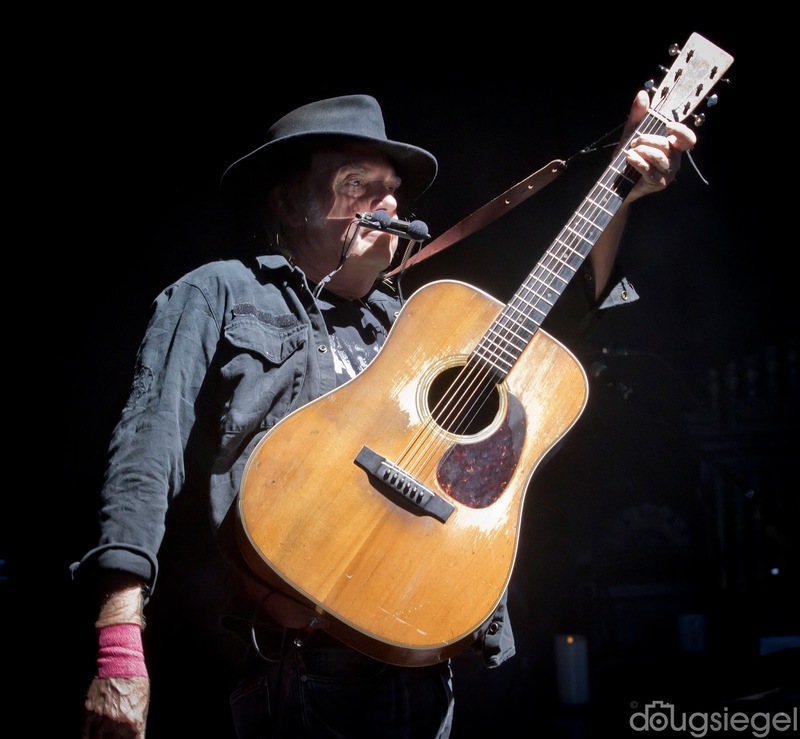 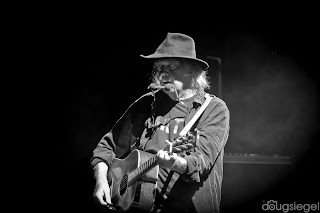 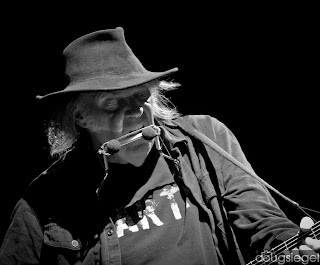 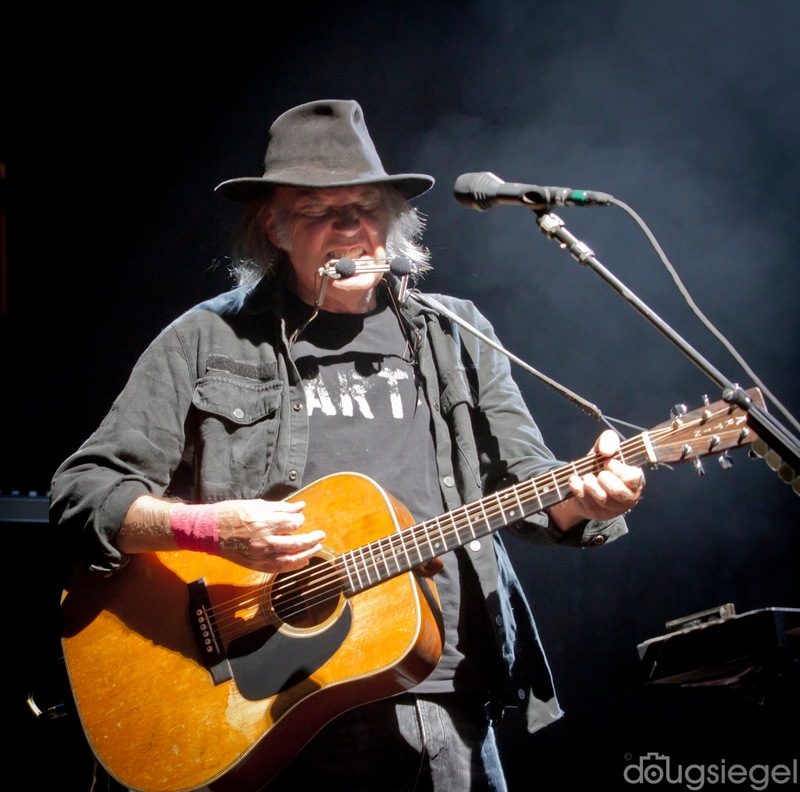 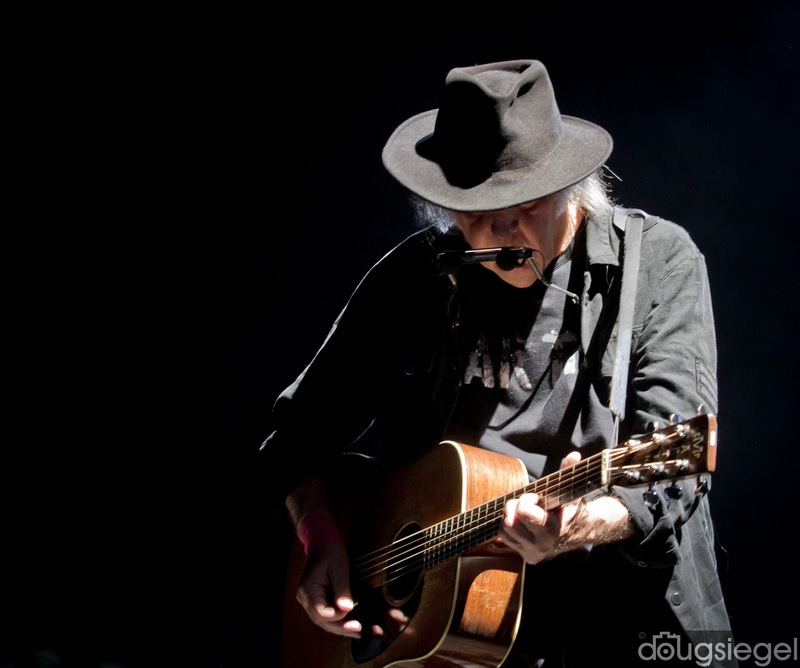 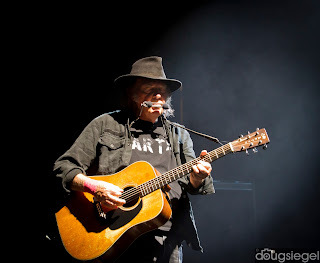 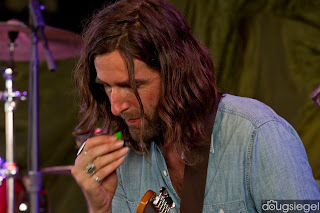 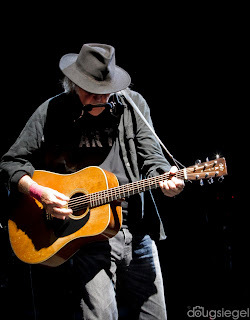 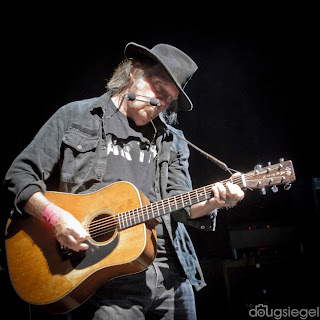 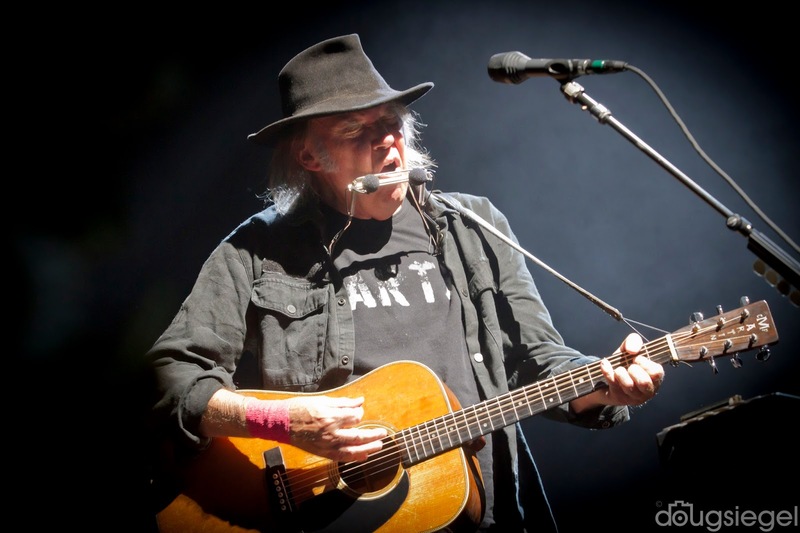 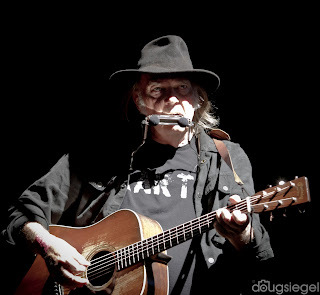 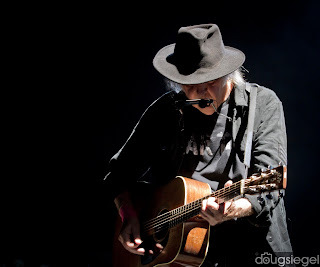 Neil Young played an amazing show at Riverbend Music Center with The Band of Horses. 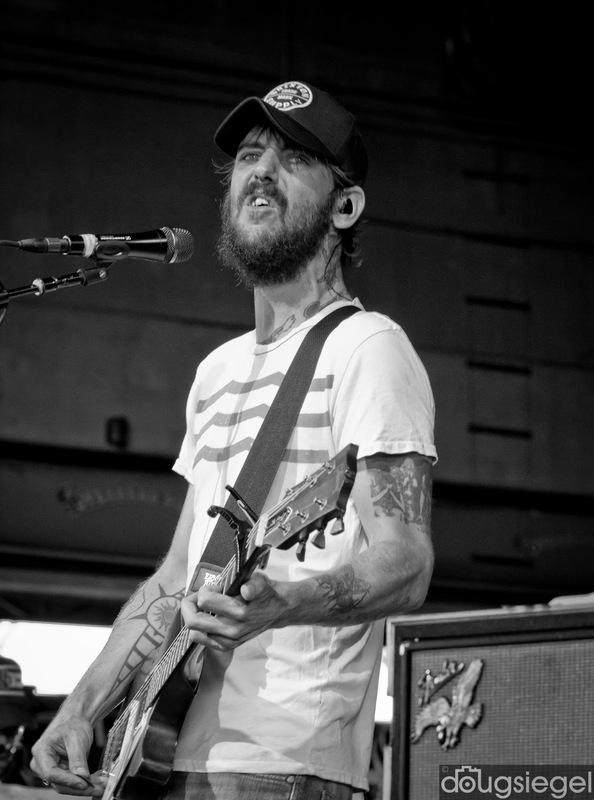 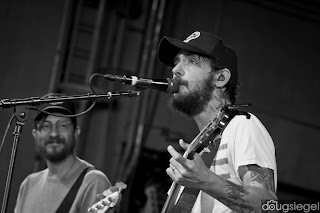 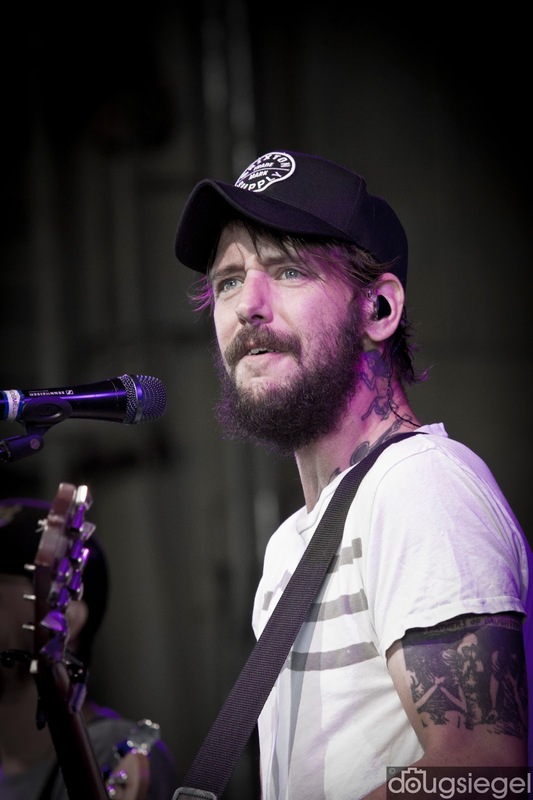 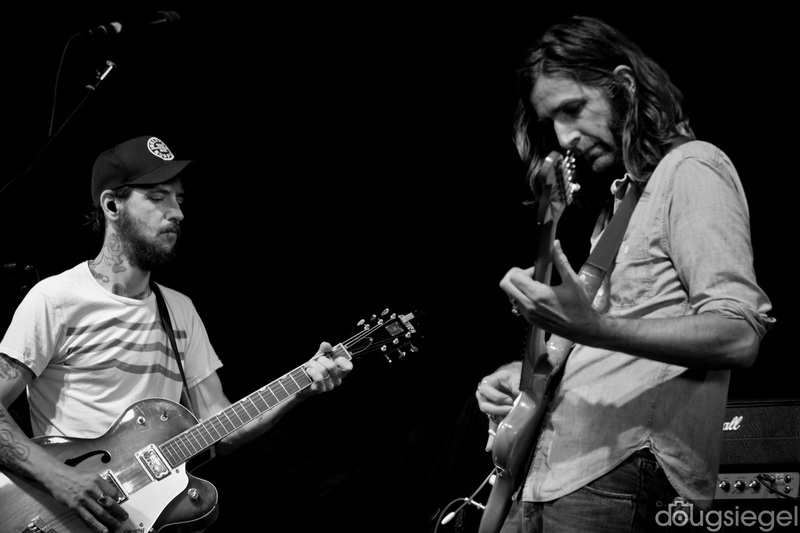 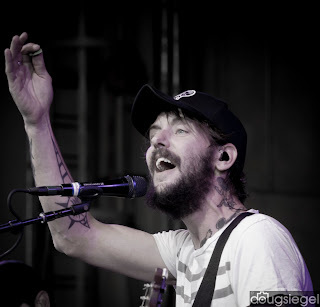 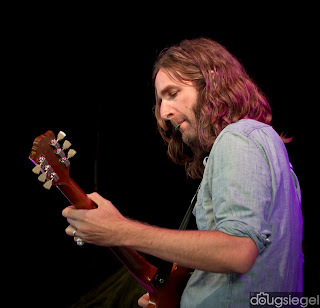 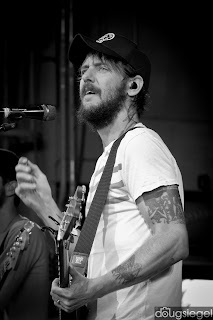 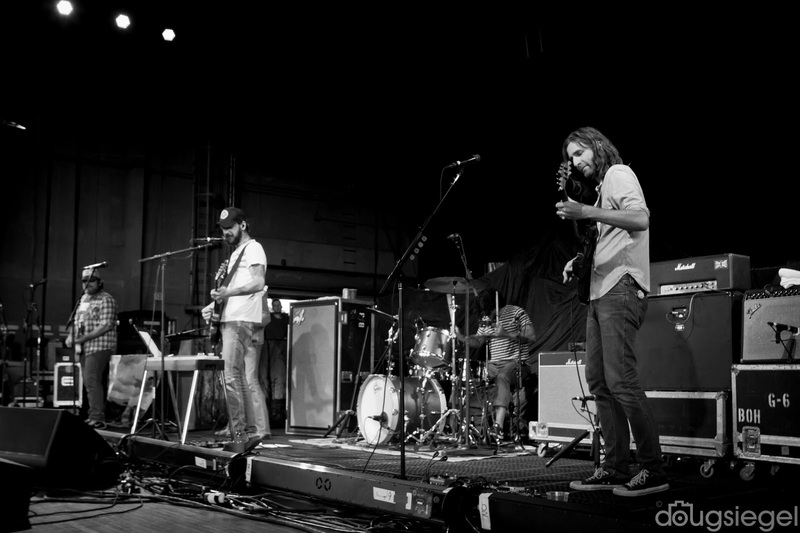 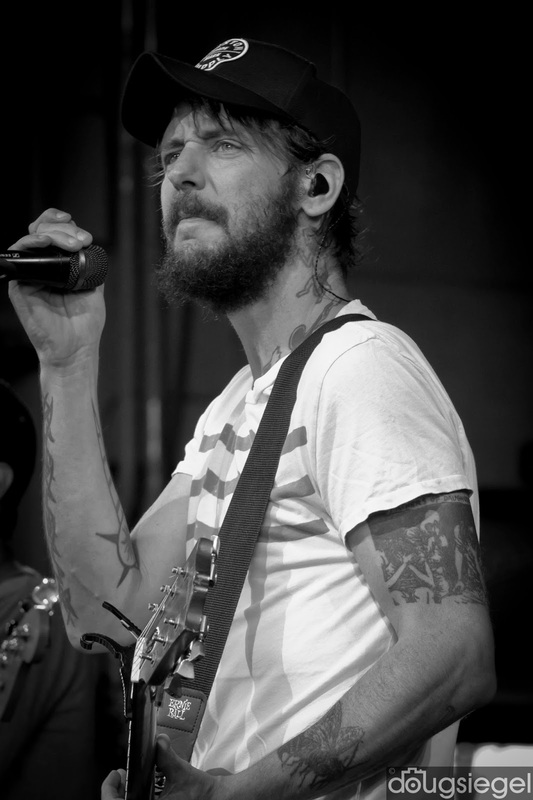 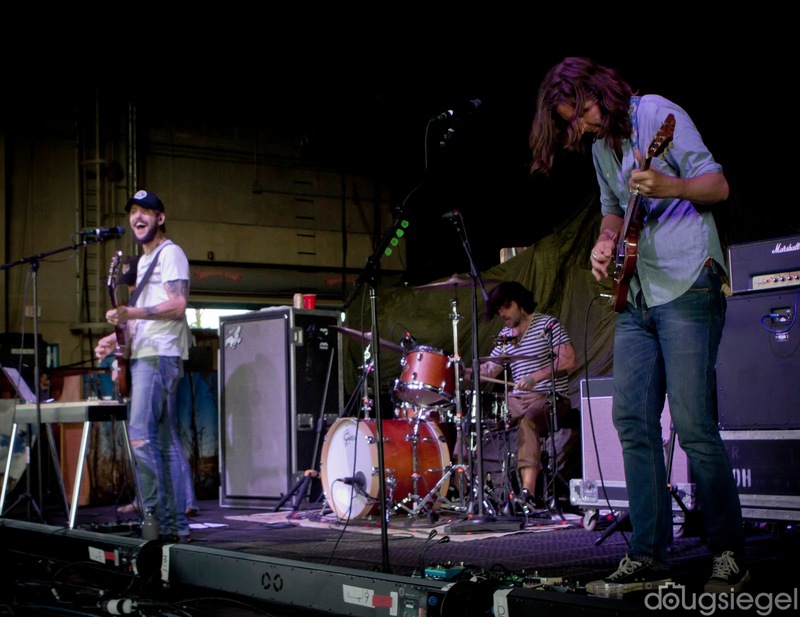 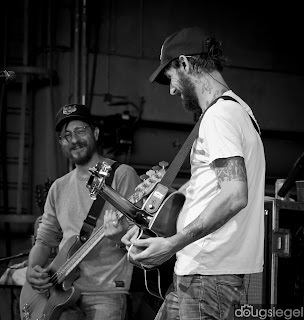 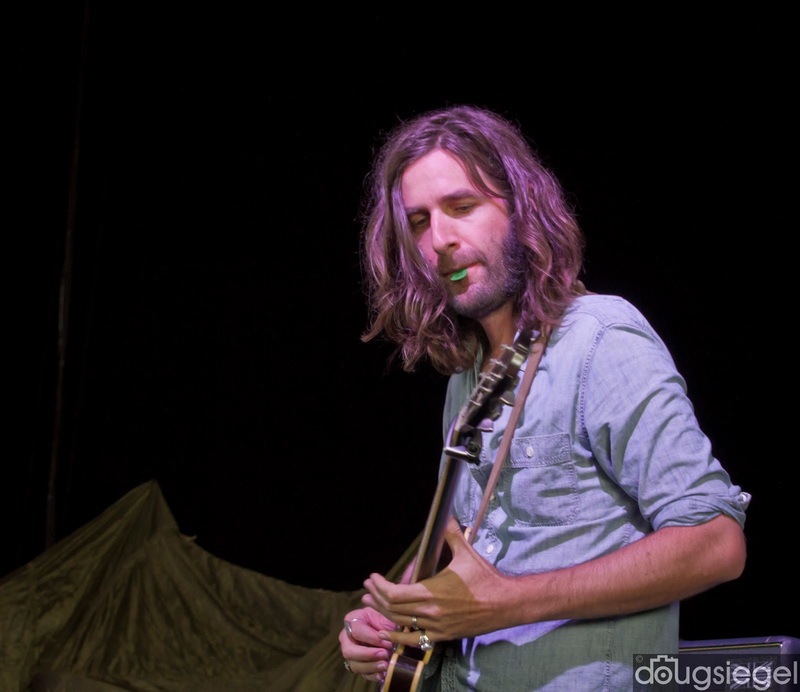 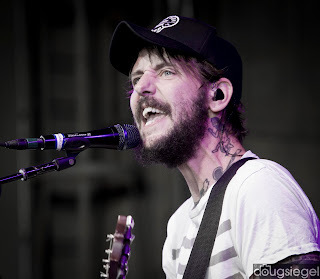 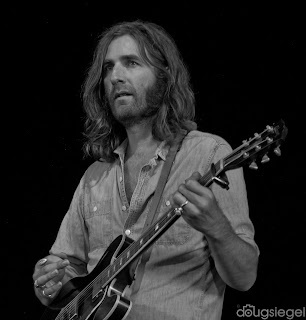 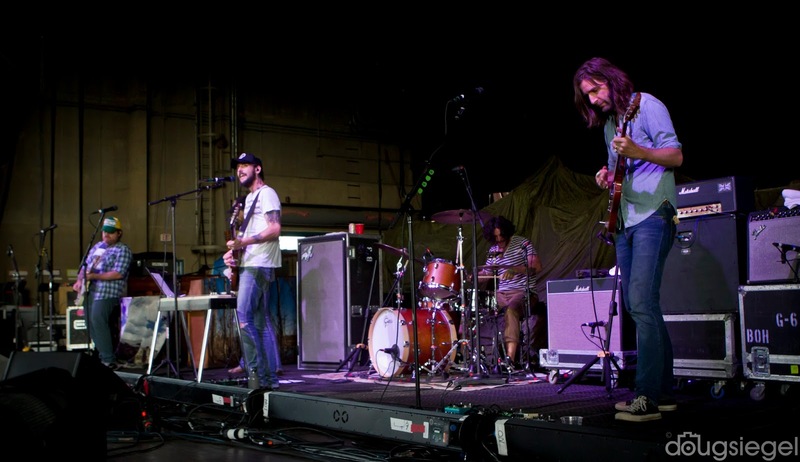 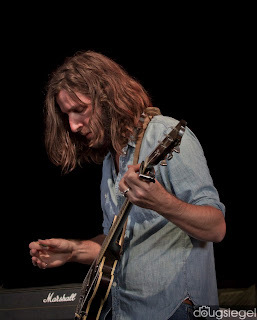 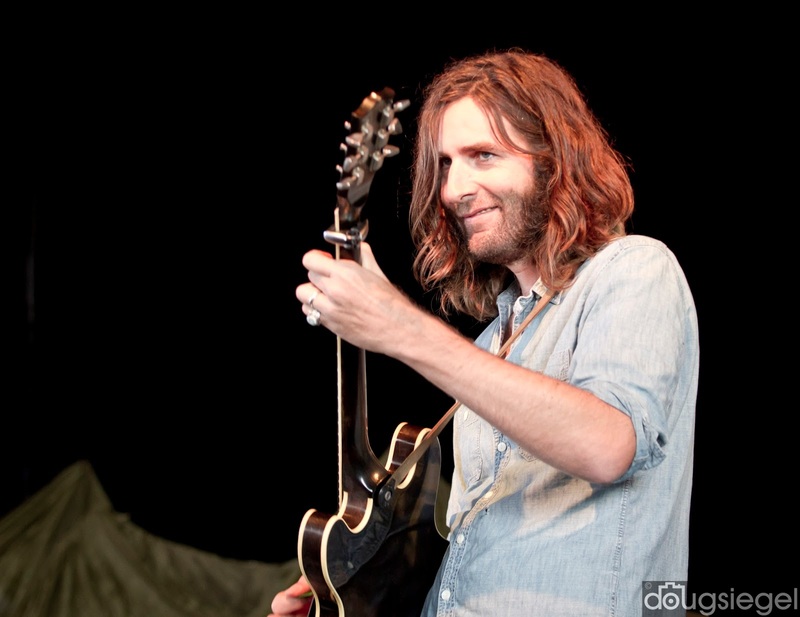 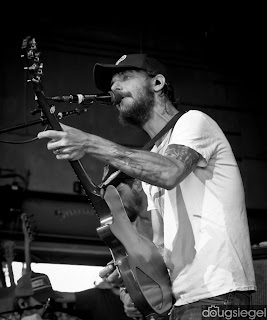 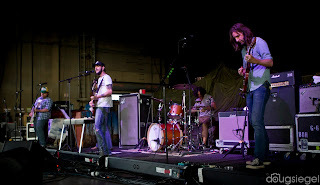 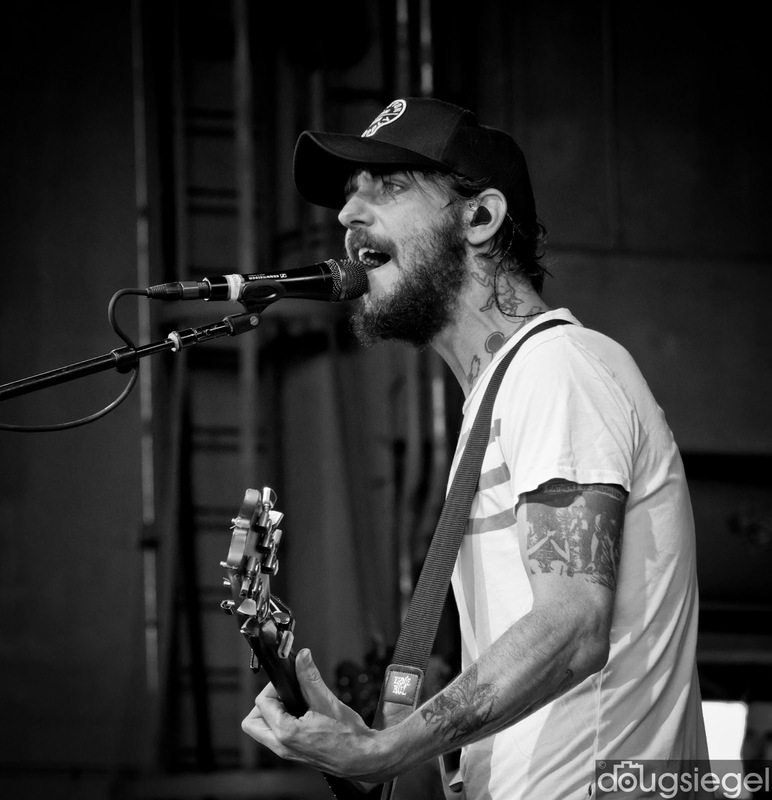 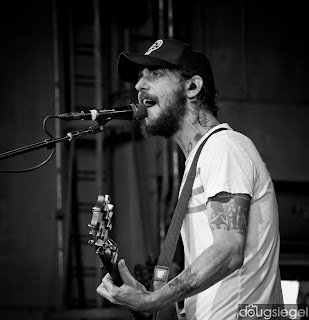 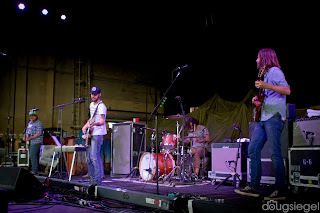 The Band of Horses opened the show with all of their hits, then Neil Young took stage. 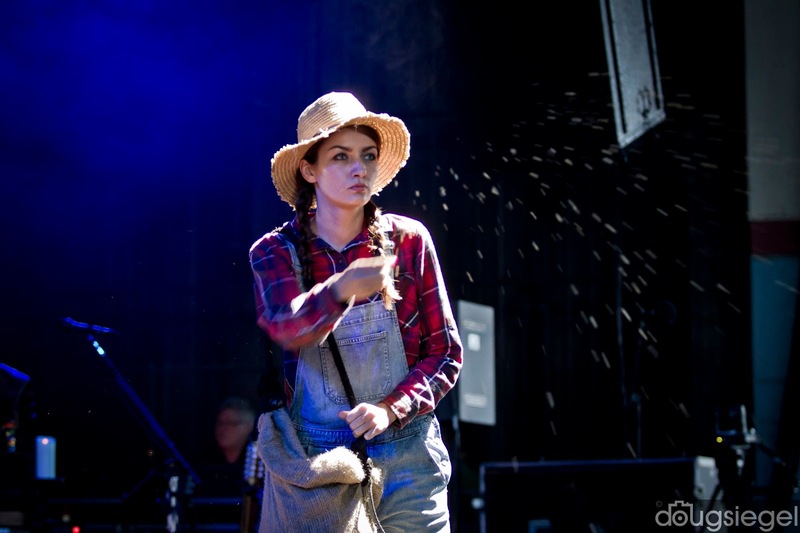 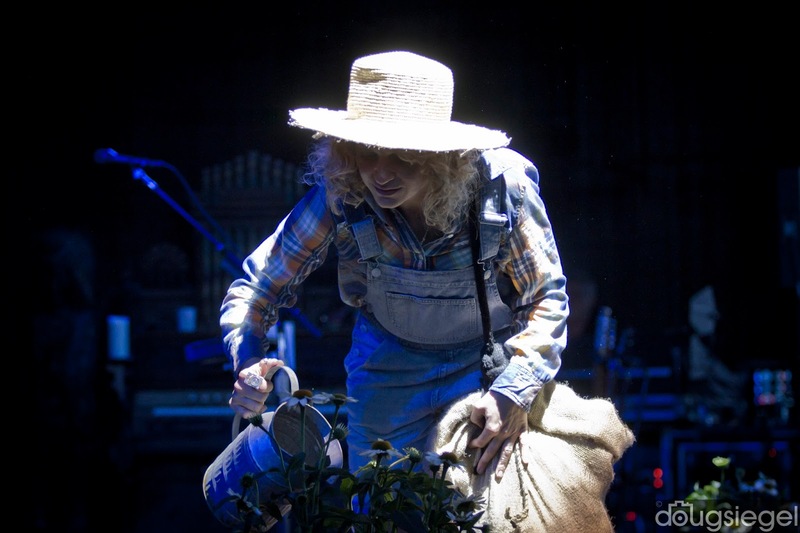 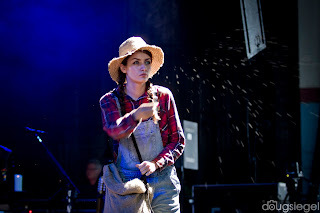 Young's farmer girls started planting pots and throwing corn all over the stage. 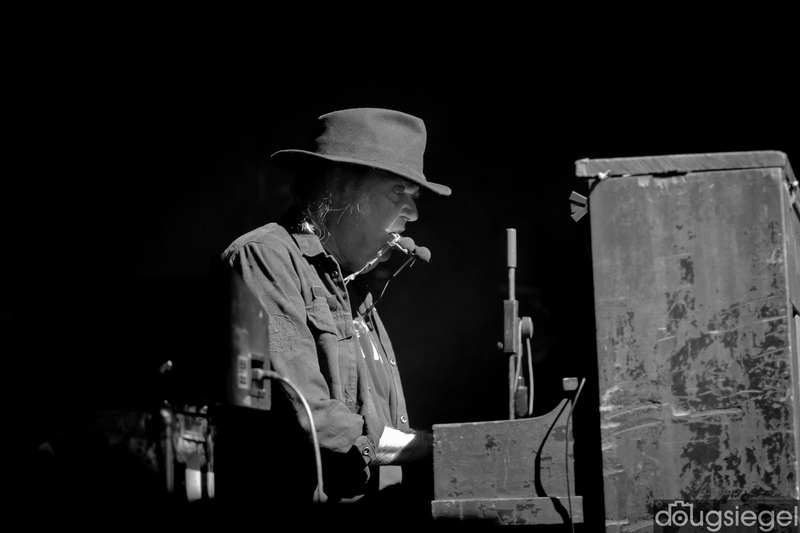 While this was going on, Neil came out of the dark over to his piano and immediately went into "After the Gold Rush", "Heart of Gold" into "Old Man." 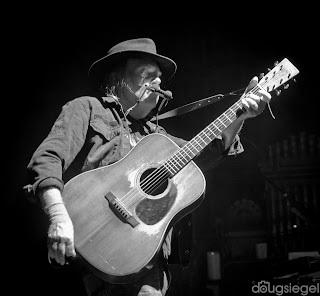 He started out with an acoustic set and then started tearing the place to shreds with The Promise of the Real. They played just about every song the crowd wanted to hear. About mid-set he started into a story about the history of the event at Kent State and the song "Ohio" and then played a 17 minute version of the classic masterpiece. The crowd chanted "forgetting Ohio" at the end. He then looked back at the mighty Ohio River and went into a very rocking version of "Down by the River." Thanks Butch...Was a bit dark and he plays facing down with his eyes closed...but got what I could.